Mary and Drew Sim have been running their self-catering accommodation business up on the Isle of Skye for the last fifteen years. Their four thatched cottages are all set to the backdrop of the stunning Highland scenery around Elgol. After much trail and error with a number of online booking systems (and even developing their own with the help of their website designer), they found freetobook exactly suited their needs. "The system allows you to determine arrival and departure days, so for shorter breaks you don't have to block out seven days to take the four day booking. More and more we are finding that folk don't want to book a cottage for a week, three and four night breaks are most popular." With their new found confidence in freetobook's centralized diary and online booking system, Drew and Mary also set up FabPay as their online payment system. "We had been using PayATrader which for all intents and purposes served us well. Cost-wise it even undercut PayPal slightly too. When we signed up for FabPay however we found it just worked seamlessly with all of our bookings, taking deposits and then the balance of payments." 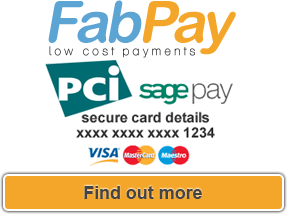 "One of the biggest advantages of the FabPay system is the detailed reporting side. We can track deposits and also if these are cash, card or cheque payments overall. Doing our year-end financial reporting has been a breeze this last year with FabPay." 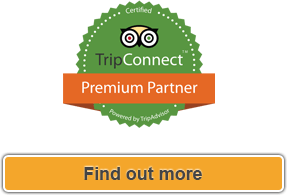 Mary's Cottages, winner of a recent Trip Advisor 'Cosy Cottage' Award, is a very popular spot for weddings and honeymoons. Scottish musician KT Tunstall chose Mary's Cottages as the most romantic spot in Skye for her honeymoon back in September 2008. "We had around twenty-five wedding parties stay in our cottages last year and looking at the bookings to date, we might event beat that total. We have one couple arriving in from Australia this coming weekend alongside both sets of parents from down under." 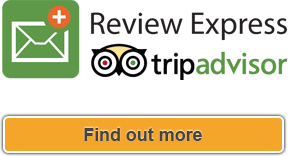 "When we signed up for FabPay we found it just worked seamlessly with all of our bookings..."